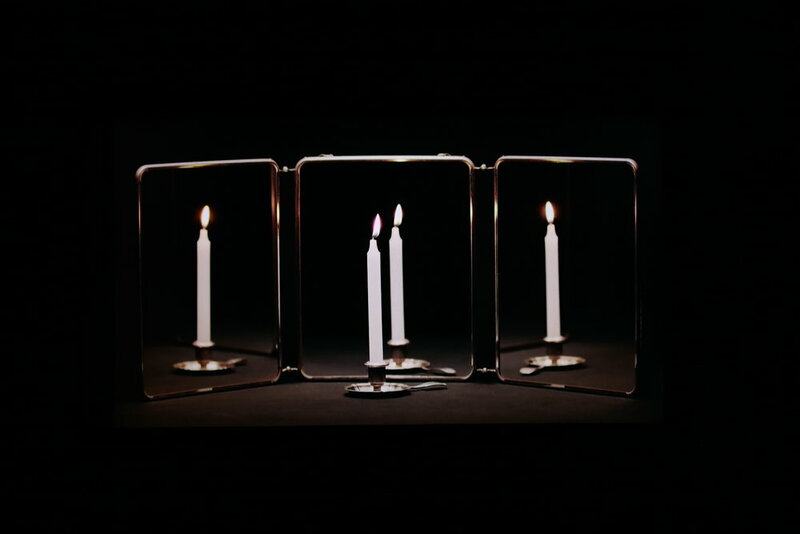 Heewon Kim, Someone’s Candle, 2015, 4K video, 32” display, wooden frame, 67 x 40.5 x 6 cm. Courtesy of the artist & GALLERY SU:. GALLERY SU: presents 5 artists who work actively in France, Germany, China and Korea with various media including photography, painting, video installation, etc. Their works represent the expanse of Asian contemporary art in international scene. Heewon Kim is a designer/photographer working with space using photographs and video installation. “Someone’s Candle (2015)”, filmed with a 4K video, shows a lighting which burns for 5 hours 17 minutes 6 seconds. The video showing the process from lighting up the matches and burning to the end as real time provides a serene and calm atmosphere on the space as an actual lighting does. The work is also a part of collection at MMCA Korea. Sungsoo Kim is a painter working with a theme of phenomena of material civilization, consumption culture and the other-side images of them. He has developed the sense of alienation he felt into a series of two-dimensional work including ‘Faades’, ‘Neon City’, ‘Melancholy’, ‘Metallica’, ‘non-lieu’, and a new series ‘Vanitas’. Seungean Cha is an artist working with textile art which reflects relationships around us and between the past and the present grounded upon her deep interests in heritages of abstract art in the twentieth century. She brings up abstract painting of the 21 st century, in critical counteraction with the history of abstract painting of the 20 th century, into a conclusion through textile practice and process unfolded by artistic hypotheses. Joseph Choi, presented at ASIA NOW in two years in a row, creates images from illusion, neither figurative nor surreal, in a state of non-gravitation he felt while suffering from insomnia. It is a freedom and inner truth that the artist has been looking for day and night at any given time or place. Ce Jian’s work analyzes, deconstructs and formally reconstructs classical imagery, causing assimilation and fusion between painting on the one hand. Through the inherent pictorial reasoning in painting, she raises multiple questions concerning the visual, with particular attention paid to the investigation of “visual habits”.